A raw release of passion and angst, Noble Kids’ beachy new song “West of Here” challenges romance while submitting to its sweet embrace. The latest iteration of New York City’s indie rock scene is well underway, and among the many faces players in a sea of guitars, drums, and vocals is progressive three-piece Noble Kids. Incorporating everything from ’80s alternative to modern dream pop and more in their sonic arsenal, the Brooklyn-based act defy traditional rock standards while still emitting a defiant underground, underdog mentality. A raw release of passion and angst, Noble Kids’ beachy new song “West of Here” challenges romance while submitting to its sweet embrace. Atwood Magazine is proud to be premiering “West of Here,” the third single off Noble Kids’ forthcoming sophomore album Messy Pretty (out February 22, 2019). The Brooklyn indie rock trio of Bryce Barsten, Michael Steiner, and Kevin Chang, Noble Kids embrace both raw and polished elements in their music to create a distinctive alternative sound that is as fun as it is moving. 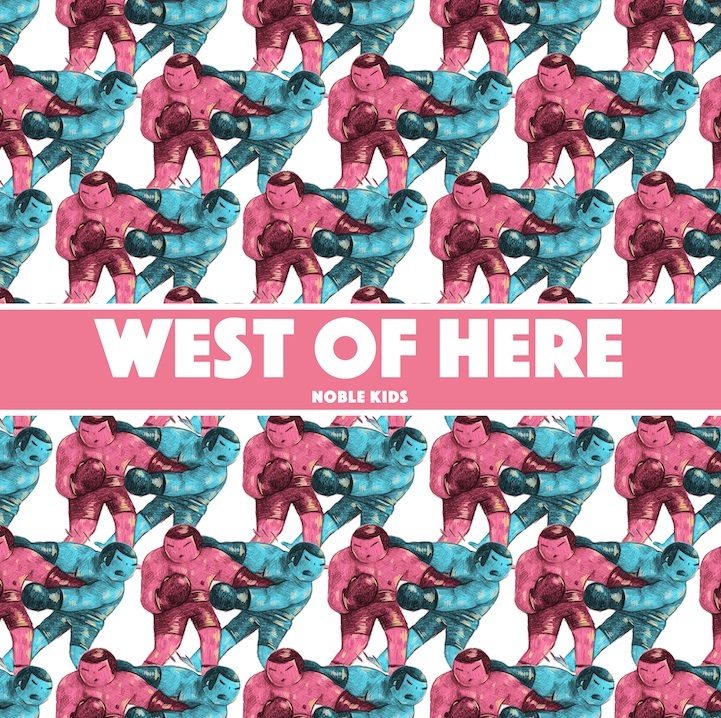 “West of Here” is a fabulous example of Noble Kids’ best work in action. The song defies real categorization, with pop, rock, and more elements swimming together in a pool energetic lovetorn anxiety. Throughout the song, you never can quite tell who’s right and who’s wrong in the relationship – in fact, you’re not even sure if there’s a problem, to begin with. The first verse’s repetition of your love is like establishes context for a relationship full of warmth, but like any connection, it’s imperfect: The notion of “faking heat in a firefight” speaks to the hard work it takes to maintain it. Sure, it’s worth it, but damn… if it doesn’t drain you sometimes. The chorus’ catchy repetition of I hear you asking for my love speaks to every relationship’s tug-of-war; love doesn’t exist in a vacuum. You can fight, while still loving one another. You can have differences and face obstacles together – in fact, every relationship must meet its own challenges along the way – and those are the things that will make you stronger, should you survive! In a broader sense, “West of Here” is a combination of (as the band eloquently explains), “sarcastic reflection and genuine reflection.” We hear this one-sided perception of the good and the bad, contrasted with the constant requests for love… The conclusion we must come to is that we are listening to an unreliable narrator, and that the story itself, as it’s been told to us, is flawed. It’s been a little while since a song made me think this hard about its story, and pushed listeners to uncover its layers one sentence or theme at a time. Noble Kids achieve this with humble grace and smooth form; they’re both unassuming and self-assured, an exciting combination that speaks to their own natural talents. 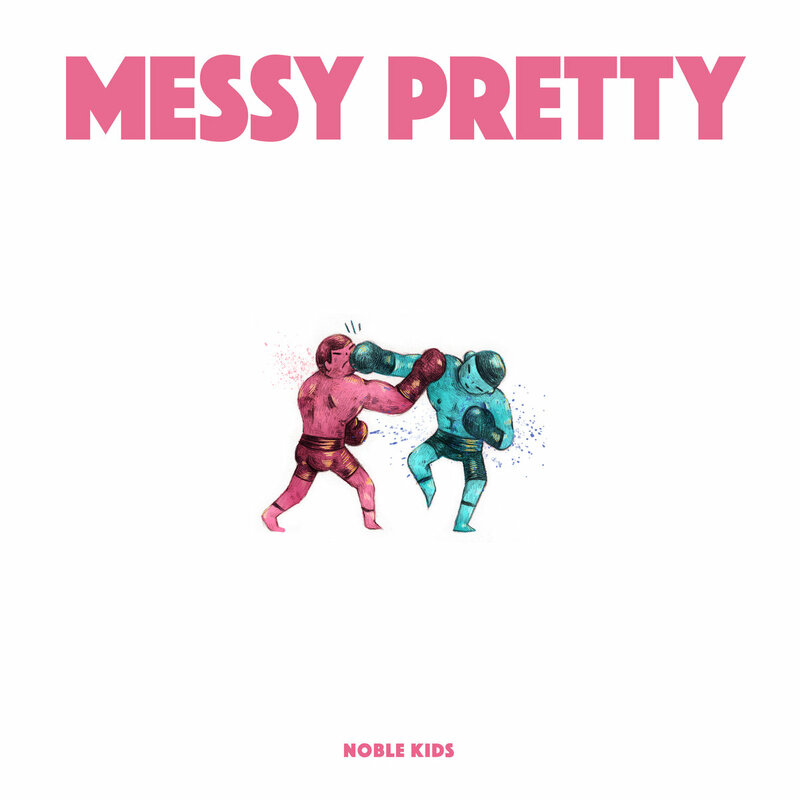 Stream “West of Here” exclusively on Atwood Magazine, and dive deeper into Noble Kids via the links below in advance of their sophomore album Messy Pretty!